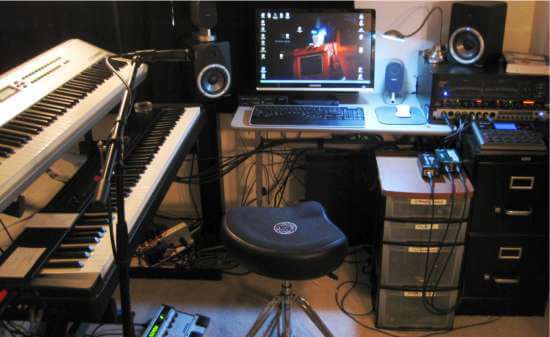 Turn Your Home Computer into Your Home Studio Today! As a musician, chances are at some point you've wondered about the possibility of recording your own music. Whether it's for a demo, to share with friends, or simply for the thrill of hearing yourself perform, recording your own music is easier now than it has ever been. And of all the crazy websites in this whole crazy world you've ended up right here. I bet this isn't the first site you've visited either... but I promise this one is different. Because I'm just like you! I understand that this is an intimidating hobby to get started in. Between the heavy doses of impressive sounding jargon and the interaction of all the many different components, it's easy to become overwhelmed and discouraged. Like you, I wanted to make my own audio recordings, but needed some advice on what I needed to get started. And like you I became fed up with everyone talking over my head, puffing their chests out, and taking this all way too seriously. So I bought some books, bugged some people, and experimented on my own until I figured it out. Now I want to help you with some of the things I've learned (while also helping you avoid some of the mistakes I made) as I created my own Basic Home Recording Studio. This may not be the site for you. I mean just look at the picture above! You can see my bed sheets under the keyboards! 1. Have some fun with a super rewarding (and increasingly affordable) hobby. 2. Learn some cool electrical science and physics (trust me I only do the cool stuff here). I'll explain the basics of each step along the way and together we'll create a basic home recording setup that's right for YOU. And because you'll be in the drivers seat, it can continue to grow as your needs evolve. All songs have melodies, some even have lyrics... but the really great ones invoke emotion within us. But distracted and swamped in a sea of details, it can be easy to lose sight of the real reason you are here. It's All About The Songs! Fancy, complicated equipment that you don't understand will not get you there. Nor will pricey, professional gear that you really can't afford. All you need is a passion for music, some basic, inexpensive recording equipment, and a willingness to learn. From smooth finger-pickers & electric blues-lickers to 80s metal face melters, one thing unites us all as musicians. The desire to express emotion through the experience of sound. For all of our words and expressions, they often prove to be inadequate when compared to the elegance of music. You have a symphony inside, ready to be unleashed! Click on the link below to see my latest eBook or explore the site to begin your learning journey for free! 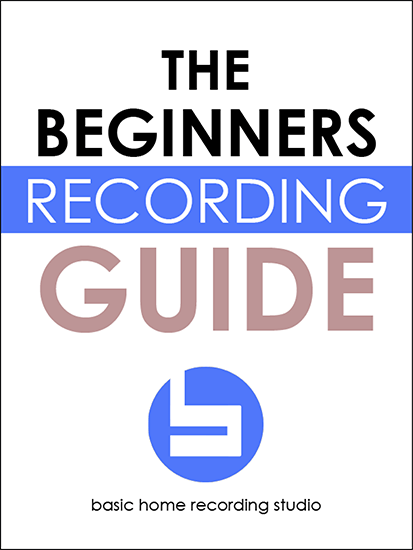 Discover The Beginner's Recording Guide Today!